Locational Astrology: Astro cartography is a method that simplifies the selection of a location where certain astrological conditions would prevail. Instead of casting a new chart each time a person moves the computer program generates a map showing lines that signify where a particular planet is prominent in its influence. 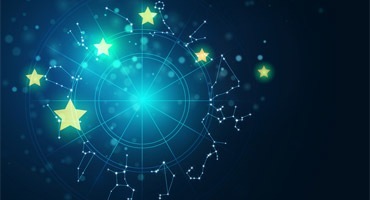 This provides a graphic tool, which the astrologer can use to guide the client in relocating or other ventures requiring geographical location. For more exact information on the effects of a place a thorough analysis of a Prashna Chart is still necessary, but the Astrocartography maps can help us in finding good places faster. Location astrology we know that all planets rotate around the Sun. But in Astrology, we are concerned with the life of a person on earth and hence we draw the planets positions with respect to earth. This is the reason; the horoscope of the person is prepared taking earth as the central point and assuming all other planets including Sun are rotating around the earth. The planets positions can be projected onto the surface of the earth. At any moment, the planets may be at different locations and their energies will be projected to different locations on the earth. The Book of Maps, “Astrocartography enables a person to determine which parts of the natal chart potential will be accented, highlighted, or bought into consciousness in a new location.” Lewis knew, as most astrologers know, that for certain life experiences to be activated, the planet related to that experience would be much more effective if it was sitting on, or around, one of the four angles (ascendant, descendant, Midheaven or IC). How AstroCartoGraphy works can be simply understood by recognizing that at the moment of your birth, somewhere on the earth the Sun was rising, and somewhere else it was setting. At another place, it was directly overhead, while at some other place it was directly underfoot. The same is true for all the other planets. The lines in Astrocartography identify places at which planets occupied powerful positions at the moment of birth. It is found out that where the planets are in the houses changes from location to location. The planets are really impactful to you in location astrology and where they fall in the houses makes a large difference to your success and happiness flows. Judging the changes in the horoscope of a person with a change in the location is called ‘Locational Astrology’. Since the horoscope changes with location, when a person shifts from his birth place to another city or country, he is bound to experience the new modified effects of planets. Locational Astrology was practiced by Western Astrologers from 1930 to 1960 with the name ‘Astrogeography’. During 1970s, Jim Lewis expanded this field using detailed maps and modern software which he called ‘Astrocartography’. Locational Astrology helps to know whether the new place to where you are getting transferred would be lucky for you or not. It also helps to know which type of good or bad results can be expected from the planets in the new location. The difficult part in Locational Astrology is when someone wants to know which city or cities are good for him. In this case, we ought to prepare horoscopes for each and every city on the earth which is impossible. But if a person wants to know whether the city A or city B is good for him, then it becomes easy for the Astrologer to give guidance as he should prepare horoscopes for only those two cities. While judging the effects of planets in Locational Astrology, importance is given to 4 angular houses. They are Ascendant (As), Descendant (Ds), the 4th house which is called Immum Coeli (IC) and the 10th house which is called Medium Coeli (MC). Since these houses are called ‘action houses’, when a planet is located in any of these houses, it is bound to play an important role in the person’s life. When good planets like Jupiter and Venus are positioned in these angular houses, the person will get very good success and prosperity. When bad planets like Mars, Saturn, Uranus, Neptune and Pluto are positioned in the angular houses, the person will face troubles and failures.